Tonight began Israel’s Memorial Day when we publicly mourn those killed in our wars and terror attacks. I wrote “publicly,” because here in Israel mourning is always hovering over our lives. We can’t get away from it. There isn’t a family that hasn’t been touched by death, whether during army service or an Arab terror attack. Whether family member, friend or neighbor, we’re all connected and all mourn. אין מילים There are No Words, “Ain Milim” I look at the pictures on display and think of the young people who never married, never had children. And others killed leaving their children to be raised by others. They’ll never know their grandchildren, and even worse, their grandchildren won’t know them. I just don’t have the words to say what must be said. Mourning may not always be obvious to others, but it is always part of life, like the low flame heating the chulent over Shabbat night and early morning. Bereavement flavors life here in Israel, like peppercorns that you suddenly bite into at the most unexpected times. Here in Israel, we can’t get away from those tragic events. They happen to us, to our family and to friends and neighbors. When you know what’s behind the happy smile, and you want to cry from joy that the person has done so well. Or you see the desperate look of a bereaved spouse trying to be father and mother to a handful of children, then too you want to cry. There are no words, and words won’t help. During the recent American Presidential Primaries and actual campaign, I wrote quite a few times about the dissatisfaction many Americans, Right, Left and Center, had with the establishment candidates. And that is the big reason that Donald Trump is the President of the United States of America. Neither Hillary Clinton and the getting more Leftist by the second Democratic Party nor the mainstream Republican politicians, most notably the Bush dynasty attracted enough American voters in enough states to win the elections. The Democrats, who preached their Radical Left New Morality, ended up scaring Middle America straight into the arms of Donald Trump, who, as a top marketing expert should, knew just what to say to appeal to the fears of ordinary Americans. As I've written many times, politics can be as much fun to observe as sports. It is a sport in a sense. Like in most games, there is only one winner. As the two candidates enter the final lap, each can reasonably claim a part in changing the face of French politics. Ms Le Pen secured 7.7m votes, 1.3m more than at the first round in 2012, and a big jump from the 4.8m her father got in 2002. When he made it into the run-off, he scored only 18%. That she might well more than double that on May 7th is a reflection of her success in turning the FN into a fixed feature of the French party system. 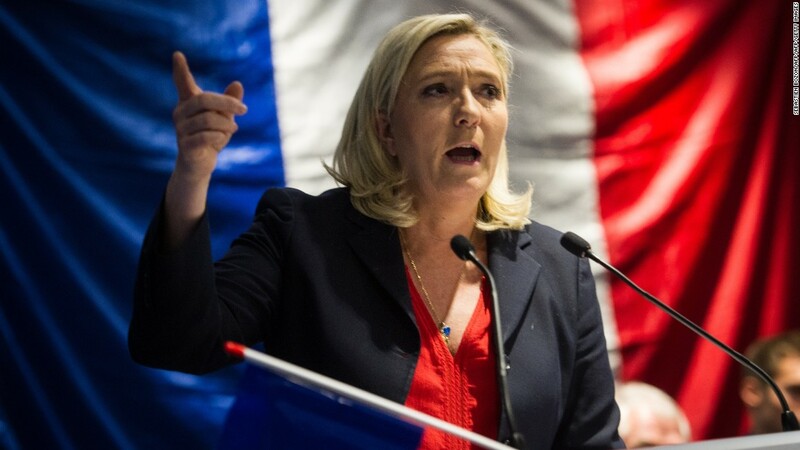 Even if she loses, Ms Le Pen has had an outsized influence over this campaign. In another week France is having run-off Presidential Elections between two non-mainstream candidates, Marine Le Pen and Emmanuel Macron. Macron, like Trump, has never held elected office though he was appointed Minister of the Economy in 2014. Marine Le Pen has revamped her father's extreme Right party and may actually pull off a victory. As "brand loyalty" is becoming a thing of the past in marketing, the same phenomenon is showing its head in politics. Nowadays, before buying a refrigerator or plane tickets, people check their options online and choose by price and servicing, rather than getting the latest model of their old fridge or sticking with "frequent flyer" options. That's why simple marketing and voicing the needs and worries of the voter is the modern way to win an election. 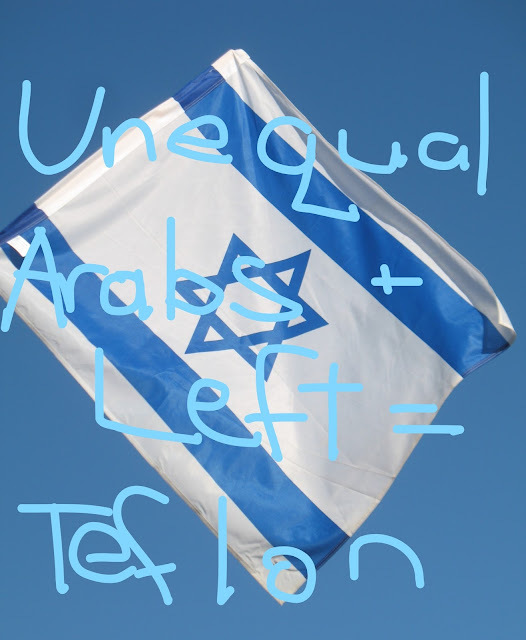 This is cross-posted on Israel Bloggers. The State of Israel has been gearing up for celebrating the 50th anniversary of our miraculous victory in the 1967 Six Days War. I have very clear and detailed memories of that time, which coincided with my last weeks as a high school student in Great Neck North, New York. Recently it hit me hard that I’m about the youngest generation to have such memories, and I’m what you’d call, “retirement age.” Everybody has been mourning the rapid loss of the Holocaust survivors, and the fact that so many stories can no longer be heard or discovered. Here in Israel we need to record more personal histories of the early days of the state, up to and including the Six Days War before it’s too late. That’s why I’m very happy that Rabbi Emanuel Feldman has republished his lovely and honest memoir, The 28th of Iyar, his day by day journal written during the weeks leading up to the Six Days War and the war itself. Feldman and his family had been winding down their sabbatical year in Israel when the Arab countries began threatening to annihilate the State of Israel. So many people, including Feldman’s Israeli brother, kept trying to convince them to go back to Atlanta, Georgia, as tension began to mount in Israel. In a very conversational and humorous style, Rabbi Feldman writes of his attempts to continue teaching “as usual” in Bar Ilan University. He also entertains with his surprisingly difficult quest to find a way to be useful to the war effort and volunteer in some capacity. 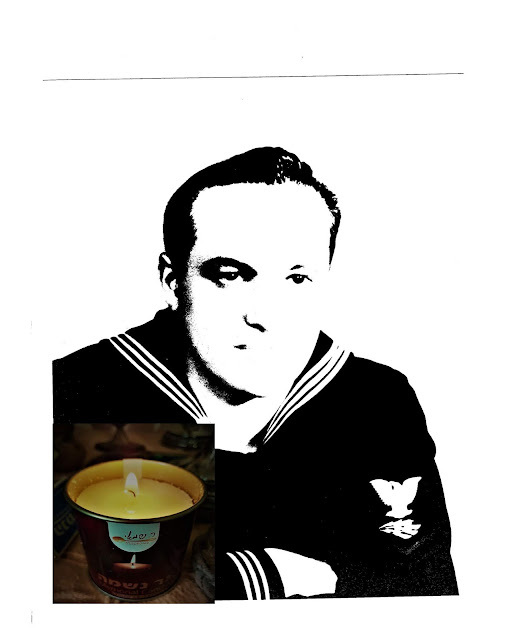 At that time, and including during the Yom Kippur War, cars were “called up” for reserve duty as well as soldiers, so since Feldman was a foreigner with a car, he ended up delivering mail and telegrams for the Post Office. Besides reading the humorous anecdotes, I was relieved to discover that my memories of how Israel had absolutely no foreign allies leading up to and during the war wasn’t a faulty memory. Feldman writes very clearly of how disappointing it was to see that not even the United States was willing to do anything to help the State of Israel. For that alone, I suggest that people read Rabbi Feldman’s book. Too many people have this totally false presumption that the United States has always been Israel’s “friend” and ally. The 28th of Iyar is a well-written and very readable book. Yes, I recommend it highly. Israeli Memorial-Independence Days Connection, Suits to a "T"
Over the decades I've been living here in Israel I've heard many immigrants complaining that they have trouble with, and don't see the point, in the Israeli custom of combining Memorial and Independence Days, into a two day extravaganza of mourning and celebrations. 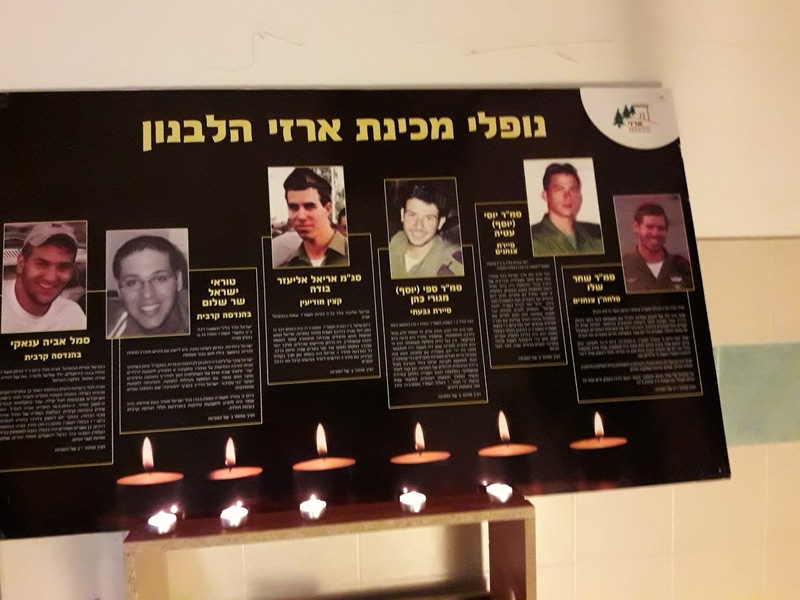 They find it difficult to quickly transition from the very depressing programs and events on Soldiers and Terror Victims Memorial Day to the great festivities on Israeli Independence Day. I, on the other hand, consider this and the entire Jewish Holiday season from Passover to Shavuot, including restrictions while Counting the Omer, to be meaningful and very suited to Jewish Values. And in all honesty, I have no problems transitioning from mourning to celebration, even though I certainly knew people who had been killed. 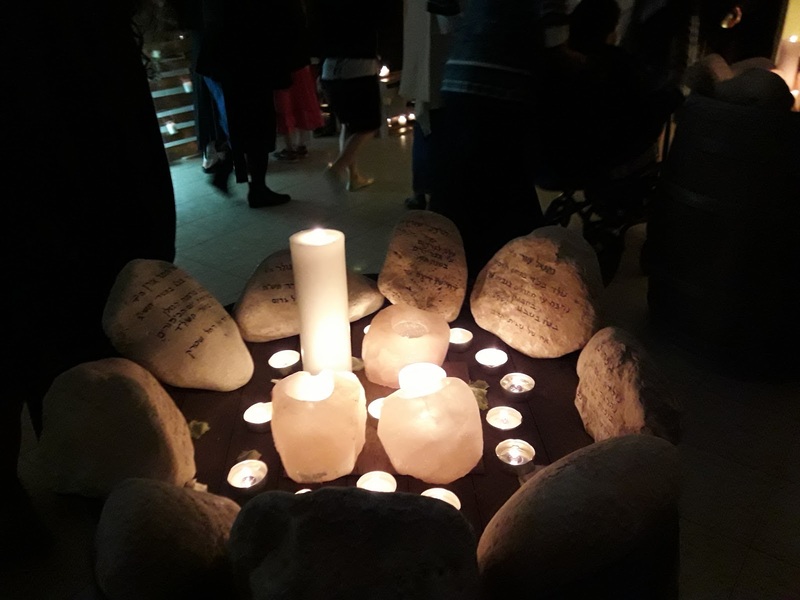 Starting with the Passover Seder, reading the Haggada, since the mitzvah, commandment is to “tell,” the meaning of the word Haggada, we must make sure that our children understand what happened and from where we came. Placing Memorial Day just before Independence Day is exactly that. We should never let anyone think that our Independence came in a vacuum, or because of a vote in the United Nations or a “simple” miracle from Gd or without paying a high price of precious lives. And they shouldn’t think that we’ve finished paying, and suffering losses, because our enemies are still fighting us and attempting to delegitimatize us. Our Independence Day celebrations honor those who were killed. By celebrating we are saying that they didn’t die in vain, and that our enemies will not defeat us, not militarily and not psychologically. We are strong and living the two thousand year old dream of the Jewish People to return to Our Land and be independent once again, Gd willing. Quite a number of countries around the world have banned shechita, the Jewish way of killing animals for human consumption. They claim "humanitarian" reasons, but each of them permits hunting, which is the cruelest occupation imaginable. They call it a "sport." Not only are the animals "taken by surprise," but frequently the hunter does not succeed in a quick kill, and the wounded animal suffers terribly. There's nothing more inhumane than that, especially when in many, or most, cases the animal isn't even needed for food. This is sport, remember. Sometimes the animal is left to die or its skin/fur is used or the head is stuffed and displayed to show the prowess of the hunter, etc. Shechita on the other hand is a very controlled ritual which not only requires training to teach the shochet, slaughterer, exactly where to cut and how quickly so the animal won't suffer a slow painful death. Also the knife has to be extremely sharp to facilitate a painless kill. I think Le Pen's wrong on both accounts. France's Muslim population would find ways to keep themselves well fed on properly slaughtered meat and poultry. French Jewry doesn't trust Le Pen, whom they see as antisemitic, and also has no desire to have to import kosher meat and poultry. Also the Jewish population is shrinking, since they dono't see a future in terror-plagued France. I agree with the pundits that Le Pen hasn't a chance to win. Ever since reaching "a certain age," I've begun to claim the front-seat of the bus for myself. "Israel isn't an apartheid state!" Honestly, I don't inspect the driver when getting on the bus, so unless it's a driver I'm familiar with, I haven't a clue as to who's driving us. I only realized that the driver was an Arab when he began to make announcements. Now, to be honest, drivers don't usually make announcements on Israeli buses. It took me a bit until I realized what was going on. First he suddenly stopped the bus, and before getting off he said that "everything was fine." But then we saw him anxiously trying to make some calls and apparently try to report something. I was starting to get pretty nervous. Then he made an incomprehensible announcement. Incomprehensible between my rotten hearing and his heavy accent. He had to repeat it a few times for me. 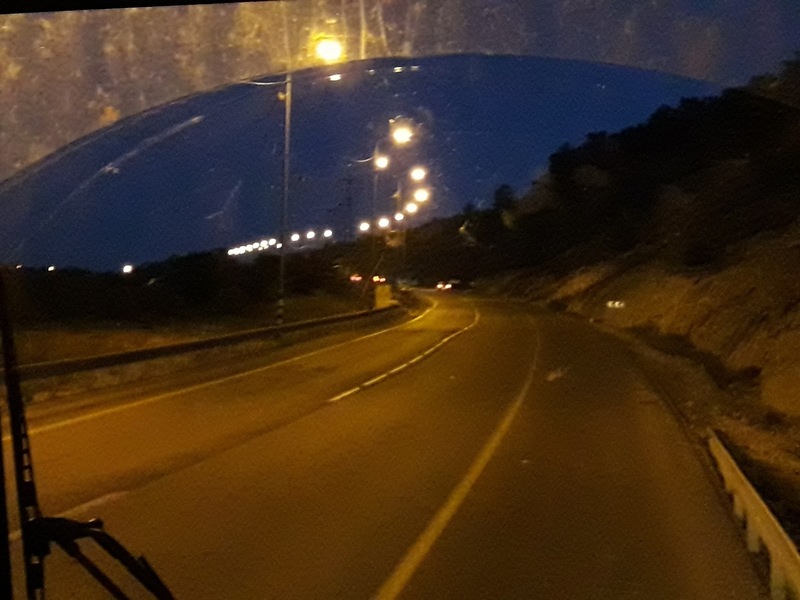 He reported that something was wrong with the bus, and he was going to do his best to get us as far as Givat Asaf where there are lots of buses towards Jerusalem. And then he addressed me in Hebrew, and of course I asked him to repeat it a couple of times. "You know English? Are you from America?" And then he suddenly spoke to me in excellent, slightly British accented English. "I've been here a very long time. "But where are you from?" And before I knew it, the Arab bus driver was telling me a whole long story of how he had tried living in America to study and how outrageously expensive it is. He seemed so very happy to be speaking English. It reminded me of when I used to work in Yafiz, Sha'ar Binyamin, when there used to be a lot of Arab customers. They loved speaking English to me and would tell me that it made them feel like they were back in America. 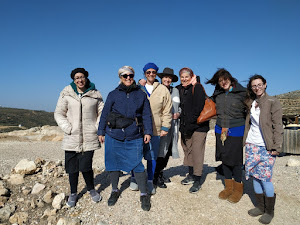 PS Yes, we did get to Givat Asaf, and a bus picked us up after only a couple of minutes. There are so many forms of antisemitism, and some are so artfully subtle. Not every antisemite is a raging violent Nazi. Nazis have gotten all the "bad press," because they not only murdered others, besides Jews, but they attacked and conquered many countries in an attempt to take over Europe and then the world. Personally, I'm more concerned about the "even handed" who give "legitimacy" to religions that promote "identity theft" and have "hijacked our Bible, historic narrative and Land. Yes, I'm referring to Christianity and Islam. That's why I'm not at all consoled by attempts to "include" Judaism's connection to Jerusalem along with Christianity and Islam by UNESCO. Equating the three religions is so historically inaccurate that I see it as a very obvious attempt to distort Judaism's role and connection not only to the Land of Israel but to the actual development of the two other religions. Judaism, the Jewish People and History existed, with documentation, for two thousand 2,000 years before the beginnings of Christianity. Actually, Christianity first developed as a version of Judaism by Jews. It took a few hundred years for them to declare Jesus a god and leave the Jewish religion and people completely. But they never completely severed their ties with our Bible and Land, even when they set up their headquarters in the Vatican. That's why they call their bible the "new"testament. They see it as a revision of Judaism, and that's why I make a point of calling it the "Christian bible." To use their name for it is a recognition of their legitimacy. The thriving and continued existence of the Jewish People is highly problematic for Christian theologians, because their main principle is that they have replaced us as god's people. Islam also developed to replace the Jewish People and its Koran includes some biblical stories for that purpose. One thing that the Koran does not include is Jerusalem. All of this emphasis on Jerusalem as central to their religion is more recent and insidious. I, for one, am not at all comforted by any attempt to include Judaism in the group of religions connected to Jerusalem and the Holy Land. I think that lumping us all together is extremely dangerous and delegitimizes us, our religion and history. By accepting that problematic premise we are participating in an ideological Holocaust against ourselves. For most of my life, ever since I first heard of the Holocaust in Hebrew School and on television, when the The Diary of Anne Frank came out my reaction has been. It's not my family's story. My parents were born in America, and my grandparents all immigrated to there in the early twentieth century, decades before the Nazis. And yes, I've written it here too on my blogs. The late 1950's and early 1960's were when the general public learned about the Holocaust, because besides the Anne Frank story, which was packaged perfectly, the very young State of Israel managed to capture Nazi leader Adolf Eichmann and bring him to public trial. Even though all of my grandparents were from European locations, Rogotshov, Nasielsk and Kiev, that had seen its Jewish population decimated by the Nazis I had never ever heard a single story that connected my family to that major and unprecedented tragedy. In addition, I grew up in Bell Park Gardens, Bayside, NY, which was housing for American war veterans, and none of the parents although over 90% Jewish, had European accents or were Holocaust survivors. 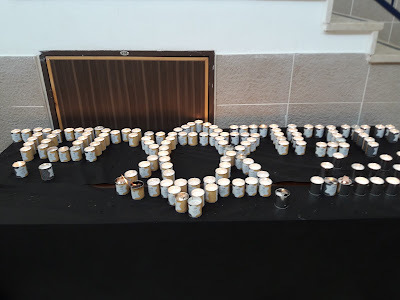 In the local Conservative synagogue, Oakland Jewish Center, where I went to Hebrew School, I don't remember anyone coming in giving a first-person story of the Holocaust or saying that their family had escaped or experienced it. Actually, the easy fact that my mother had neither cousins nor aunts and uncles in America wasn't attributed to the Holocaust until the poem Babi Yar was published and publicized in America. That's when my mother said that her mother's family was probably among the Jews massacred in Babi Yar. The Vishnefskys of Rogotshov, parents of my mother's mother. And above that is a small photo of my mother's family, Passover, most probably 1948 or 1949. This morning when I was trying to decide what to write, I first rejected Holocaust Memorial Day, because I don't have a "story." My father's father's family all left Nesielsk, Poland over a decade before it was conquered by the Nazis, so they were safely in New York long before the Nazis came to power. And we have heard nothing about what actually happened to my paternal grandmother's two sisters who remained in the USSR, except that they were loyal communists. The truth is that we don't know if there are any heroic stories from my family, because nobody survived to tell us. And just now I've realized that I do have a story. My story is that my family members who stayed in Europe were all swallowed up in the black hole of the Nazi Holocaust not even leaving enough clues to discover a story. We can't even add their names. Now that the Jewish World is commemorating Holocaust Memorial Day, it's also mourning the fact that there are fewer and fewer actual survivors who are capable of telling their stories to the younger generations. World War Two, which included the Holocaust, ended over seventy 70 years ago, and that means that especially considering the problematic physical/medical condition of those who had survived, not too many people are still alive and in any condition to tell what they had suffered/experienced. Also, quite a few had kept all of those horrendous memories all bottled up in order to survive and thrive emotionally. In recent decades there had been great efforts to convince survivors to tell/record their stories. And there have been many Holocaust memorials built all over the world. 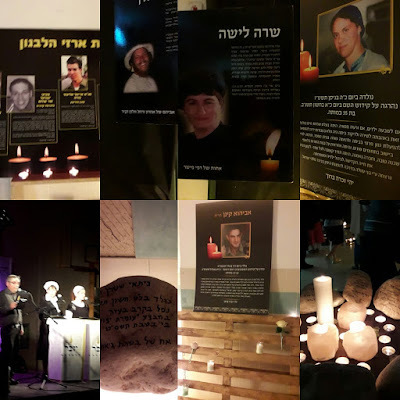 I've even complained that it's easier to raise money for these memorials than for any projects to try to increase Jewish identification, education and observance among young Jews. Assimilation and intermarriage have been emerging as the direct result of Jewish embrace of Liberalism and Equality which aim to take down the social and cultural barriers between different religions. In many Jewish families living outside of Israel there is hardly a single marriage between two Jews on the horizon. What is most disturbing is that the acceptance of this situation is even described as a "Jewish value," and Reform Judaism makes "conversion" and the definition of "who's a Jew" simpler and more encompassing than ever. To do this they have gone farther and farther from traditional Torah Judaism, the Judaism that was passed on from Gd to Moshe and further in an unbroken line to this day. At best they've kept the box and some superficial symbols but emptied them of Gd's authority over us. Convenience and modernity have replaced the Authority of Torah and Gd. Modern "versions" of Judaism are also attempts to avoid/prevent antisemitism by making Jews less "different," as if the Holocaust was caused by the strict observance of Shabbat and Kashrut, two principles that separate the Jewish People from other religions. The Nazi Holocaust had nothing to do with Judaism as a strict religion. Intermarried Jews, their children and grandchildren were murdered along with rabbis and their followers. Even German Jewish war veterans who had been awarded medals for bravery in World War One were included as Jews and not exempt as German patriots and heroes. It is very necessary to look at the big picture, especially now that the individual stories are getting harder to hear. The big difference between now and the world eighty plus 80+ years ago is that now there is a State of Israel, a Jewish State, which almost nobody really believed would happen way back then. And in addition, not only is strict Torah Observant Judaism getting larger and more popular, but even the non-observant Jews here in Israel are showing a strong interest in classic halachic (Jewish Law) literature and Philosophy. Ironically, as Judaism is getting stronger here in Israel, Germany is at the forefront of the European Union and the concept of Europe as a People. Yes, I see the Hand of Gd in this. That's to show or remind us that Jewish Law is derived from Gd and has been passed on from generation to generation of Jews. Yes, that's the message to the Jewish People. But what about individuals, especially those who have returned to Torah Judaism after a generation or more of our family didn't observer mitzvot? Or what about the convert who has no family customs/memories to follow? In my family I was considered a "rebel" when I became Torah observant, since my parents, and even some of my grandparents had thrown off the "yoke" of Torah. I didn't grow up with any strong religious memories or family customs. And sometimes I feel the alack. The other day I was with a couple of friends. Besides me, there was a convert and one from a long unbroken line of Torah observant Jews. The convert and I spoke about things we had asked rabbis, while the one from the unbroken line admitted that she never had. And I replied that many of the questions we asked the rabbi were simple halachik, Jewish Law questions, because for those of us who have no family customs to go by and no family to ask, it makes more sense to ask the rabbi. Sometimes when you look for the answer yourself, you get more confused or end up getting it all wrong. This reminds me of a game we played as kids. We'd pass around a "message." The first one would whisper something in the ear of the next child, who would whisper to the next, on and on, and the last one had to say it outloud. Most frequently, the message would be so garbled it bore no resemblance to the original. In Judaism, that's why we still have copies of the Torah text and learn it all and the Mishna and Talmud on a regular basis. It's just too easy to get off track and distort things. And there's the tradition to learn Pirkei Avot every year after Passover. And Pirkei Avot reminds us that there's an unbroken chain from Moshe who heard from Gd when he and the Jewish People were on their way to the Holy Land after escaping slavery to Pharaoh in Egypt. When Will MK Zoabi be Jailed and Stripped of Immunity? It's totally outrageous, immoral, illogical and illegal for Balad's Haneen Zoabi to continue as a Knesset Member. Why aren't Israeli security and incitement laws enforced when it comes to the extreme Left and Arabs? It is extremely clear that MK Haneen Zoabi is not loyal to the State of Israel and doesn't recognize its sovereignty. So, how could someone like that have a position of authority in the State of Israel's Knesset, parliament? It makes absolutely no sense to me at all. Does The State of Israel Have The Guts? To be a real "light unto all nations," a very nebulous subjective phrase, we the Jewish People and today's reborn State of Israel must be willing to do things other countries many not dare and even things that some Jews don't think are truly Jewish. That's because so-called "Jewish Morality," sic, has been hijacked by concepts and ideologies far removed from Judaism and claim them as Jewish. Liberalism and Democracy are not Jewish Values. They are modern western and European. Judaism forbids us to "turn the other cheek," ignore attacks on us. The common practice here not to respond to rocket attacks on Israel if they didn't kill nor maim and caused no real "damage" cannot be defended according to Torah Judaism. Making Torah Commandments more "modern," or PC-politically correct, was strongly condemned in the Bible. The Priest Aaron's sons were immediately executed by Gd for worshipping with a "strange fire." And the first Jewish King, Saul, lost his kingship when he refrained from executing the Amalek king and killing all the cattle. Gd did not accept his excuse that the people wanted him to keep them alive for a big festive ceremony. There's no textual proof that the people made such a demand, and Gd's instructions weren't negotiable. For the State of Israel to be a truly moral country, a "light unto all nations," according to Jewish Tradition we must separate from the ideology of the international Left, Gd willing. This post is my reaction to the pain of the families who are still waiting for the Israeli Government to take effective steps to bring back their children's bodies from our immoral enemies. Rosh Chodesh Iyar is So SOON! I know. It happens every year that we are barely recovered from Passover and suddenly it's Yom Ha'atzmaut, Israel's Independence day. There are barely a couple of weeks between the two. And even before Independence Day it's Rosh Chodesh Iyar, the first of the Jewish Month in which there are so many festive days. There's Independence Day, Lag B'Omer and Jerusalem Day. So, no doubt, this is a Rosh Chodesh you'd like to celebrate with us if you can. Please come and invite family, friends and neighbors. Please mark it in your calendar/diary/event planner so you can join us, Gd willing. If you have more questions about it, please contact me shilohmuse@gmail.com with "Rosh Chodesh" as subject. Our women's dovening isn't a version of male synagogue prayers. We sing Hallel out loud and then doven Musaf individually. You can visit Shiloh Hakeduma all weekdays. For more information call 02-994-4019. Arab Terrorist Hunger Strike - Let Them Starve to Death! Not for the first time, convicted imprisoned Arab terrorists in Israel have declared a hunger strike. And as far as I'm concerned, let them starve to death. As I've said/written on many occasions, any Arab terrorist caught in the act, whether "successful," sic, or not, he/she, young or old, should be executed on the spot. There is absolutely no need nor usefulness nor value in giving Arab terrorists medical care, a trial, room, board, education, entertainment, a microphone/internet access etcetera. Allowing them to live and thrive, as they do in jail, just endangers us even more. And there must be a way to fine/penalize the PA-Palestinian Authority for giving out stipends/financial rewards to the families of the terrorists. Why does the world sympathise with these terrorists? Reminder for Counting the Omer when phone and computer are off. I've been leaving a "sign" right over the television, a place my eyes wander for the past few years. I find this to be the best way of remembering to count. The Counting of the Omer, Sefirat Ha'Omer, is a pretty long process. It's 7 X 7 = 49, seven complete weeks long. And the numbers go up and up each night. There's nothing like Hebrew as a brilliant language with so much meaning however you combine letters. There's no real "gibberish" in Hebrew. Every simple two or three letter combination can be linguistically interpreted somehow. As we begin counting on that second night of Passover, we know that in forty-nine days, seven times seven weeks, we will all swear our allegiance to Gd, accept the Torah and be satisfied with it, Gd willing. It's an amazing concept, and it repeats every year. Yes, it's connected to the commandment that we each must feel ourselves as having left Egypt and joined with Gd and Gd's Commandments to us. We first search for and destroy the chametz, forbidden leaved products, and then we start anew with matzot, מצות, which are linguistically, mitzvot מצות Gd's commandments. This is either confusing or comforting and satisfying in how it connects the Holy Days. Passover celebrates our no longer being slaves of Pharaoh, and Shavuot celebrates Gd's giving us the Torah and our emergence as a People. Even though the 49 days of the Omer is supposed to be a time of national mourning, there are, davka, two modern holidays in the middle, Israeli Independence Day and Jerusalem Day. These are the modern Holy Days that parallel the development of the Jewish People today. We've reclaimed the Holy Land as Ours! We are now a State/Nation after two thousand years of exile. And these significant days are during the forty-nine of the Omer. Gd controls timing, which is a reminder of how holy Israeli Independence Day and Jerusalem Day truly are. Friday a young woman was murdered by an Arab terrorist on the Jerusalem Lightrail. Authorities say he has a history of mental illness, but that's no comfort to the family. And, davka, the victim, 21-year-old Hannah Bladon, wasn't even Jewish. Jerusalem Lightrail on a quiet day, not far from where the attack took place. As further proof that there's no apartheid between Arabs and others in Israel, the attack took place on the train where Jews and Arabs and tourists and non-Jews and everyone of all ages ride together and sit together and stand crowded together. I was on the train just the day before. I noticed more security, but according to statistics Arab men 50+ are very low risks on the terrorist scale. Just shows that Profiling isn't foolproof. I'm just curious, but how many international leaders have condemned this murder so far? Who has? The Jews who left Egypt weren't refugees, because they weren't Egyptians. They were descendants of a foreign tribe, different religion and culture who had been invited to stay in Egypt during a time of extreme famine in their own land. One can say that when they arrived in Egypt they had been refugees at that time. But then, once there was a new ruler/Pharaoh policy towards them changed and they became enslaved, and they were denied all civil rights, including the right to go back to their homeland. That is the Passover Story. It's about a People trying to return home to their Homeland. It's not about people aka refugees looking for better economic conditions, educational opportunities or security in a foreign land. The Passover story is more like that of North African Jews being forced to hike thousands of miles to the Land of Israel or the European Jews on clandestine aliyah ships trying to sneak past the British forces that aimed to keep Jews out of the Holy Land. In the 20th Century version, the British prevented Jews from entering the Land of our Forefathers, even when they knew that staying in Europe meant certain death by the Nazis. Despite it all, the Jewish People did manage to return Home and establish a modern state, the State of Israel. There is no other people in the world that has done anything similar, especially after a two thousand 2,000 year expulsion. The State of Israel is miraculous, and that is proof that we are Gd's People. Shabbat Shalom and Chag Pesach Sameach! Have a Peaceful Shabbat and a Joyous Passover Holiday! 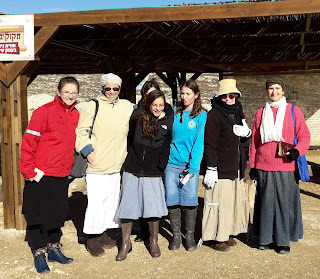 Ancient Shiloh Hakeduma, Tel Shiloh, The Place to Be on Passover! 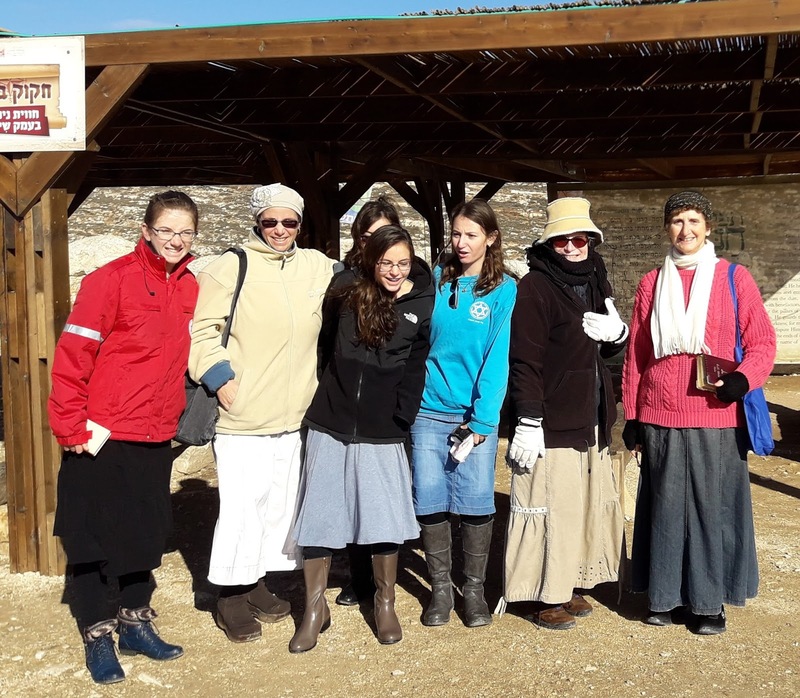 Thousands of modern pilgrims from all over the showed up at the Biblical Site of Shiloh on the First day of Chol Hamoed Passover. For more information click here. Yes, it's open today, too. There were activities for all ages, and the street theater gets better every year. Enjoy! And of course the site is open year round. I invite women to join our Rosh Chodesh Prayers every month. What's Brewing in The Middle East? Can The United Nations Really Change? Isn't All Apartheid the Same Evil?